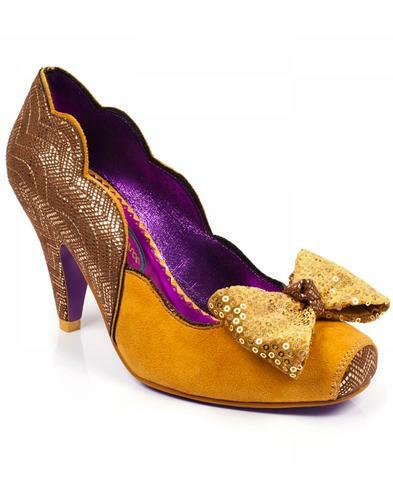 Dance the night away in a flash with these glitzy glamourous light up party heels by Irregular Choice! These fabulous heels feature a dreamy scalloped swirling iridescent glitter upper that you could lose yourself in, scalloped heels encrusted in sparkling glitter and a matching sparkly glitter bow complete with magical flashing lights that you can turn on and off to suit your mood! Twinkle is the ultimate party heel, cute and scalloped with unlimited sparkle and lights when you walk! What more could a girl want? 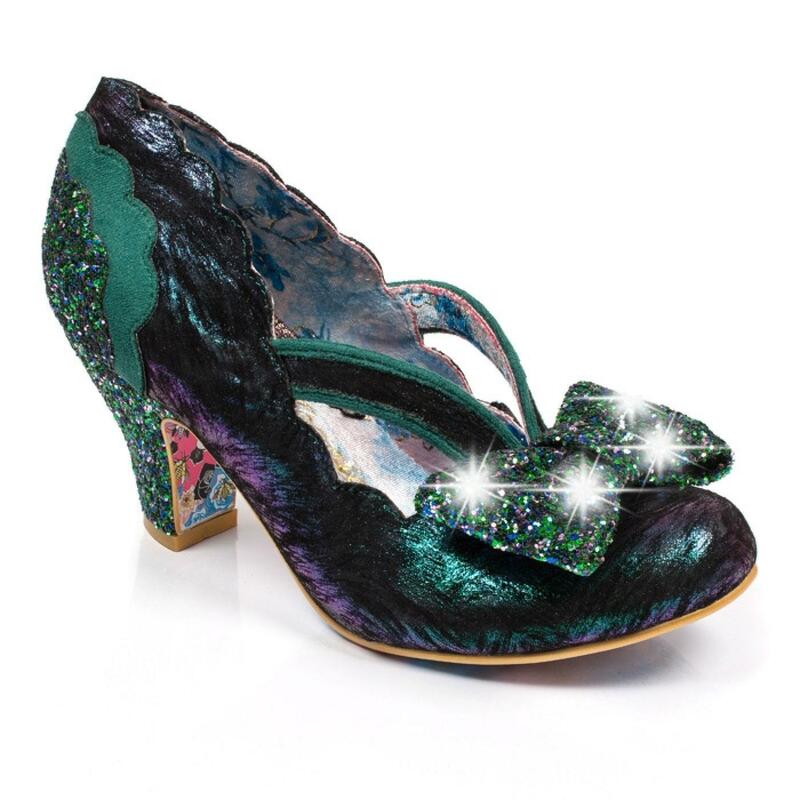 Twinkle glitter flashing lights heel in green by Irregular Choice. 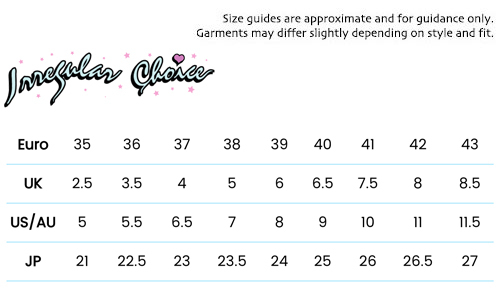 Scalloped edges with V shaped straps. Glitter encrusted scalloped heel with suede scallop. Sparkling glitter bow with flashing lights embedded and an on/off button. Sturdy Irregular Choice floral printed sole matches the box.